Although bloating is not a typical reaction to tea, the caffeine may cause this side-effect in rare cases, according to Drugs.com. Teas with artificial sweeteners, such as sorbitol or mannitol, may also cause gas that leads to bloating, as can very hot or cold drinks, according to Brigham and Women's Hospital. 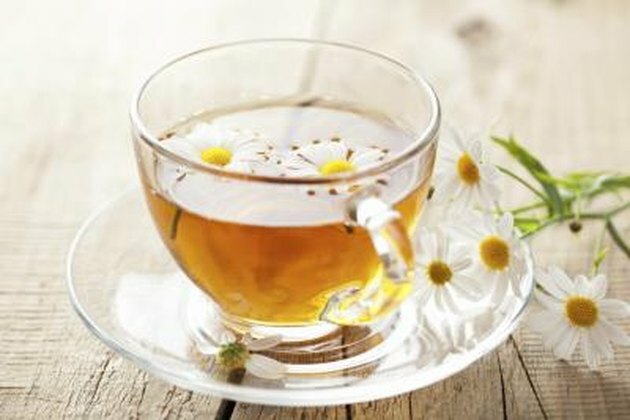 In addition, herbal teas may contain nontraditional ingredients that lead to bloating or other symptoms. If you experience severe bloating and can't determine the cause, consult a physician. Bloating is characterized by a "tight" abdomen that may protrude more than normal. According to MedlinePlus, the most common causes include overeating, swallowing air, gastroesophageal reflux and bowel problems. Intolerance to certain foods -- such as lactose -- can also trigger bloating, so if this condition occurs every time you drink tea, you could have a sensitivity to one or more of the substances in your beverage. In some cases, bloating may stem from a more dangerous medical condition such as celiac disease, tumors or ovarian cancer. How Many Calories Does Chai Tea Have? Is Decaffeinated Tea Good for You?